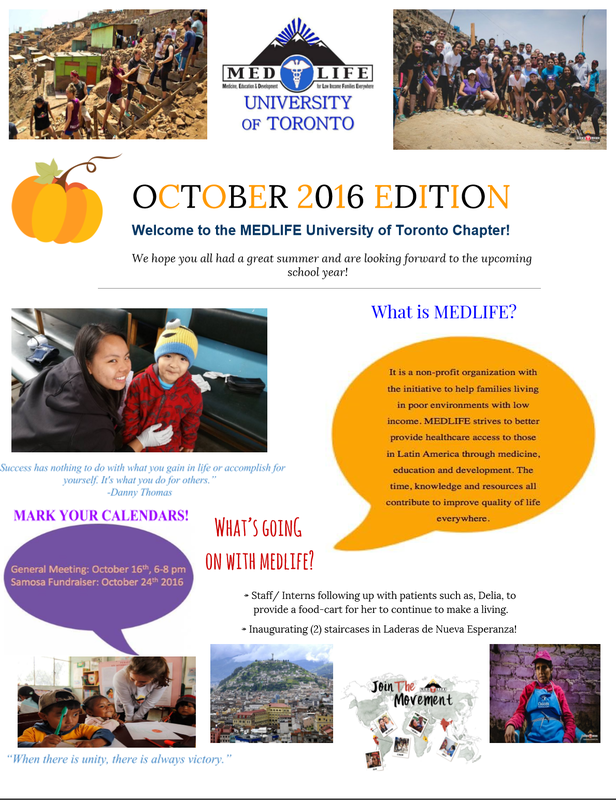 The UTSG MEDLIFE Team is proud to announce our first online Student Body Meeting this year! It will take place on October 16 from 6pm to 8pm. The first student body meeting is opened to anyone in the community (non registered members may join) to gain a better sense of our service to the local and overseas communities! 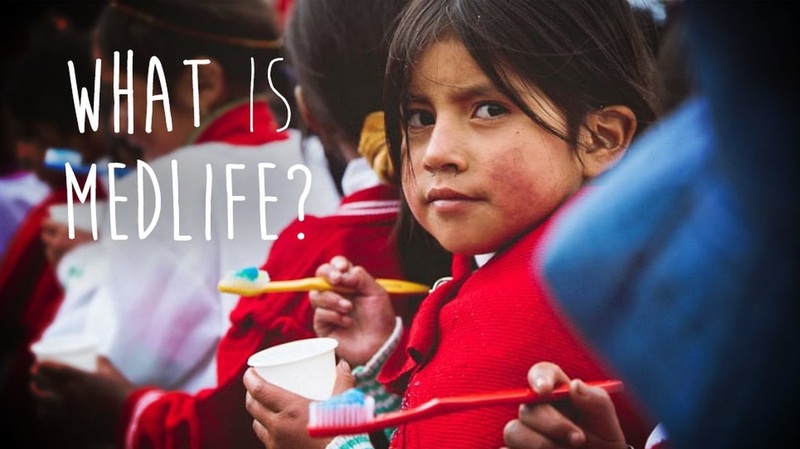 If you are interested in global health, medicine or even just have the passion to help those with less access to medicine, education and community infrastructure, we believe this club is right for you! *We currently have 55 students enrolled in the seminar class. Please reserve a seat before the acceptances close! ​This seminar course is geared towards senior students looking to apply to OMsAS or AMCAS (US) this year or next year. Junior 1/2nd year students are welcome to attend!!! The discussion will focus on details of application (from autobiographical sketch to personal essays to primary/secondary application for the US) as well as an overview discussion of interview strategies and types (Single person, Multi person, MMI). Qualities of a good applicant (detailed of one's CV) would be talked about as well! 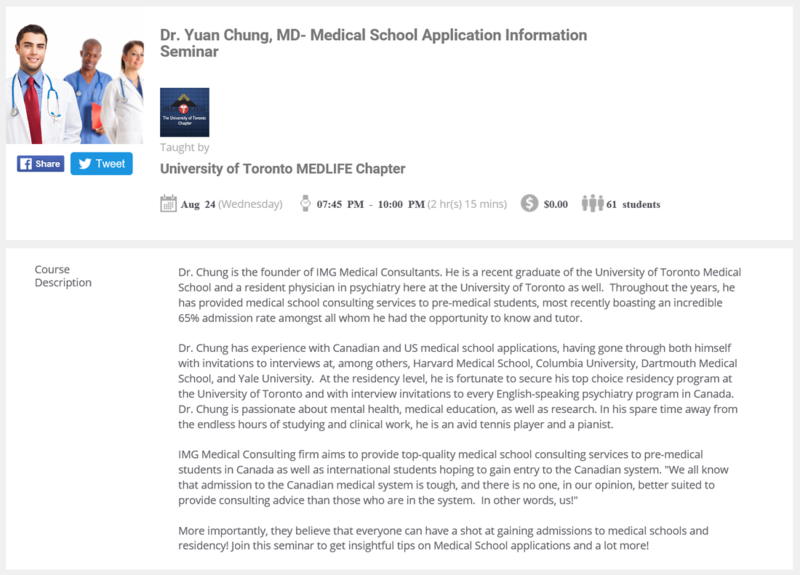 ​If you wish to get notified of similar future seminars/events that UTSG MEDLIFE provides, please sign up for our membership program on this website! 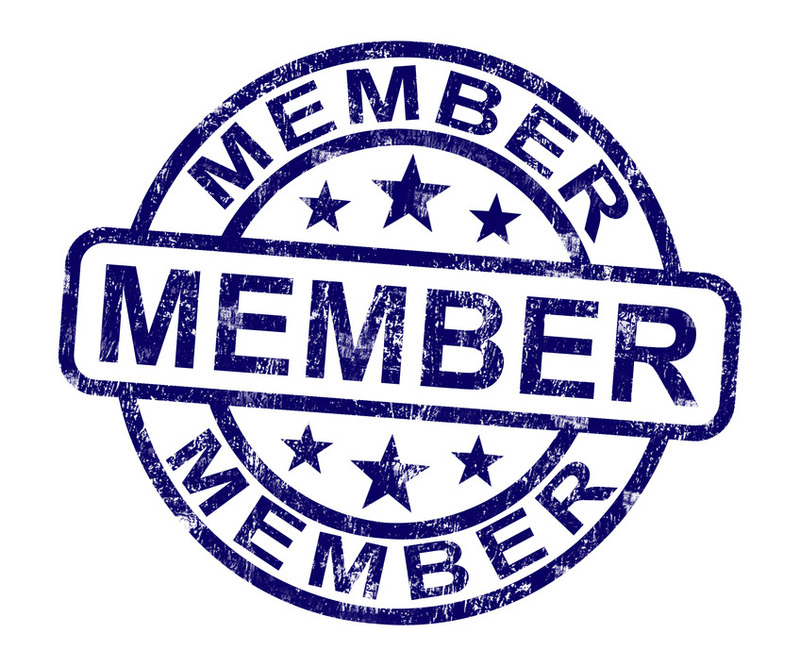 If you are currently a University of Toronto student (valid student number) please join our membership program! UTSG members may receive promotional coupons on selected services and events provided by our chapter. For more information please click the membership tab on our website. ​To enrol in your class please CLICK HERE and sign up an account with Etutorcloud! Thank you and we hope you enjoy the seminar! Orientation is a time when the UTSG Community welcomes our new students. Come and make new friends, get important information and learn more about what we have to offer right at the heart of Toronto. On September 7th, from 10am to 2pm at the Heart House Circle, please visit us and find more about the UTSG MEDLIFE Club! ​​Bring some water that day! It's gonna be hot and remember that you will be walking a lot! ​Don't forget lots of sunscreen! ​Tip: Different clubs will be separated in different categories. Our group is under VOLUNTEER! ​If you have any questions whatsoever, just ASK! That's why we are there! We want to get to know you better, although it's going to be quite hectic! ​Make sure to register with us! This would allow you to gain access to various activities hosted by our Chapter! ​Have lots of fun exploring!!!! 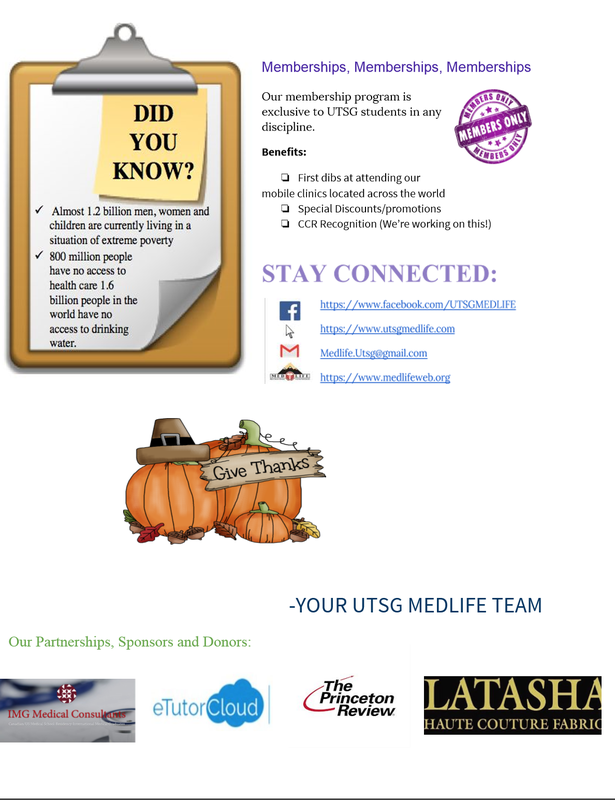 Please stay connected to our Facebook Page/Group and watch for regular updates on events/news for UTSG MEDLIFE! Click the Membership icon to join our UTSG Membership program today!